The AFL , has scheduled both Preliminary Finals , for night-time @ 7.45pm Friday , and 7.20pm Saturday . 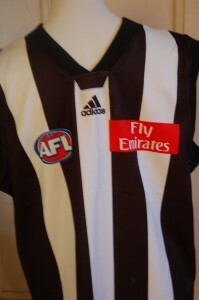 Collingwood , play Geelong , on Friday night at the MCG . 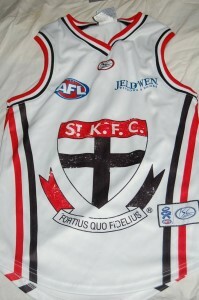 St Kilda , play the Western Bulldogs, on Saturday night at the MCG. Lots of things, about the 2010 Finals Series, seem familiar . Collingwood, walk the walk and talk the talk, but are they capable, of winning the Premiership ? Geelong , the reigning Premiers are quietly confident , as they present for another Finals series , and are a good chance for the Flag. Western Bulldogs , the battlers from the West , are playing an exciting brand of football , with the luck of Julia Gillard on their side . The Saints , sentimental favourites of many, are poised to re-write history, and win only their second premiership, in their illustrious history . Have the Pies , peaked too early ? Will Geelong win , yet again? Can the Bulldogs , get across the line, carrying a number of injuries , to their key players? Will the Saints , finally hit paydirt? Whatever the outcome , of this frenetic round of preliminary finals , of two things, you can be certain . 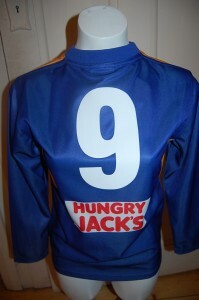 A record numbers of fans , will be out cheering their teams to victory, wearing their football jumpers , jerseys , guernseys . That Molly Meldrum ,has already painted his fence in the red , white and black of the Saints. Is he a jinx? Sit back , relax and enjoy . We're in for a bumpy ride to watch AFL Football at its finest. There is nothing like a close AFL football Game, for spectator enjoyment. Last Friday night , the clash between St Kilda , and Hawthorn was such a Game . Two evenly matched teams . The Hawks , lead by a point at the first break , the Saints by a point at half time , and at the 3rd , and last quarter nothing seperated them .The match ultimately resulting in a draw. Two points to each club. Much has been written , and spoken about the Hawthorn disallowed goal in the final minutes , which most certainly cost the Hawks outright victory. 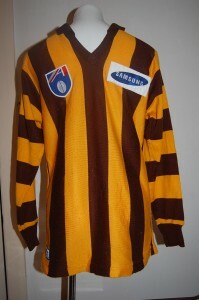 The bottom line is Hawthorn temporarily infringed, and then paid the price . As a long time follower of AFL football, it ranks as one of the best games I have ever seen . Two things stood out . St Kilda's fighting spirit , and the Hawks great athleticism . All this , combined with the size and the roar of the crowd , and an adrenalin fuelled , action packed spectacle, that thrilled fans to the very last , showcased friday night footy at its very best . Neither club song was sung , but most fans went home with a song in their heart , knowing they had witnessed a truly great spectacle . A crowd of 70,000 AFL fans, are tipped to attend the St Kilda Saints versus Geelong Cats , Game on Friday night , the 25 th June , at the MCG . It is being touted as , the Grand Final Re- Match , and both teams are determined to win . The Saints, in their only Game, for the home and away season , against the Cats, want to remove the memory of the Grand Final loss. They hope to restore some belief to fans , and achieve self pride. 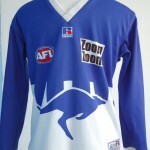 The Cats , hopefuls for the 2010 flag , thus making it back to back premierships, will play hard , fast and skilled footy . They want to squash St Kilda's, hopes for a revenge victory . Its tipped to be a ripper contest , with both teams hopefully playing superlative football . 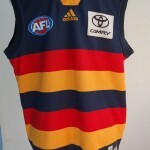 Vocal supporters, will be there, in their AFL, jumpers , jerseys , guernseys . Will it be the rejuvenated Saints , desperate for a victory ? Can the battle seasoned Geelong Side , beat St Kilda again ? There can only be one winner ! Let the Games begin . On second thought, a draw occurred recently , between the Demons and the Magpies. Will this unthinkable result happen, between these two mighty teams ? Can the Saints win ? The AFL competition, are having a split round of matches this weekend . Five games are being played, 2 interstate, and 3, in Melbourne . The other three games , will be played next weekend . Its called a mid season break. One angst ridden fan, was heard to mutter, " how will I go the whole weekend ,without watching the Saints "! The're not even on TV. A game was played , on friday night in Melbourne, with another on saturday night , and one today . 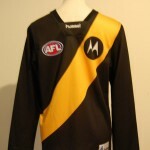 Fans , will either go to the matches in their football jumpers , jerseys , guernseys , or watch the games on TV. 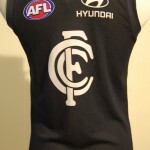 Many , will watch from the comfort of their lounge room , and many , will wear their football jumpers , jerseys , guernseys , even, if not at the match.